The Ocean Engine: What does Durban mean for the world? Exploring changes in global ocean circulation past, present and future. Join the debate! What does Durban mean for the world? So the news is out. After a frantic extra day of negotiations that continued late into Saturday night, a deal has been struck. So what exactly is this all about? The EU came to Durban calling for a mandate to negotiate a legally binding deal on climate change by 2015. However, EU clashed with India and China over the legality of a new agreement, threatening to put the talks between 194 countries into jeopardy. The EU wanted to push a “roadmap”, which would establish a new over-arching agreement that would commit countries to emission cuts. India and China, expressed concerns at the legality of such proposals, preferring to adopt the term ‘legal outcome’ as oppose to “legal instrument” in the agreement (The Guardian, 2011). After the South African President urged the EU and India to go into a huddle to resolve the language dispute, a Brazilian compromise saw an agreement between both parties to negotiate another legal instrument or an ‘agreed outcome with legal force’ (The Guardian, 2011). The treaty will be negotiated by 2015 and implemented from 2020. It will also allow action to address the emission deficit between voluntary reductions and those experts state are needed to tackle climate change. As a side issue, ministers had agreed that by 2020, a $ 100 bn fund to help countries move to a green economy and tackle the effects of climate change in addition to measures to protect forests and develop global markets. These talks are part of a series of wider issues; and I have neatly summarised them below. The figures are referenced by Mark Maslin’s ‘Global Warming: A Very Short Introduction’, a very accessible text exploring all dimensions of the issue. Why do we need a legally binding agreement? 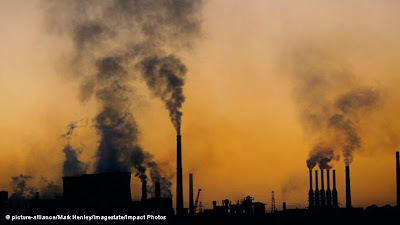 - Legally-binding multilateral agreements through the United Nations Framework Convention on Climate Change to cover emissions from all countries are the only viable way to keep an increase in global average temperatures since pre-industrial period below 2 °C, a threshold widely agreed to mitigate "dangerous" climate change. Why the urgency for a legally binding agreement? To summarise climate science, the earth has a thermal lag meaning so even if emissions stopped today; the earth’s temperature will still rise (Current estimates are we have experienced 0.5- 1°C warming already). The political issue is essentially a game of risk; what temperature and hence, CO2 concentration do we aim for? A ‘two-degree’ world is seen as the threshold as scenarios based on temperature rises beyond this to 3, 4 , 5 and 6 °C will involve a complex series of feedbacks that will affect humanity’s ability to adapt to climate change. In order to reach 2°C, we need to peak global emissions by 2015 at a CO2 concentration of 400 ppm (we are currently at 390.91 ppm). Thus, a legally binding treaty is required to give any hope of achieving this (or staying in the 2-3 °C margin). Trust: The developing countries and ‘fast-emitters’ (e.g. India and China) are concerned by ‘green colonialism’, the concept that developed countries should dictate to developing countries how they should develop and what action they should take, actions they feel will supress their right to a fair development trajectory. Geopolitics: As China rose at the talks, they felt the EU’s roadmap proposals would be mostly beneficial to the US. Multilateral talks need a global political view. The US’s importance, economically, politically and as a large emitter, requires its participation in order for a global community to develop on climate change. Leadership: Tied in with the above, a united long-term vision is required from political leaders across the globe. That even in an era of economic austerity, a long-term vision and pathway must be clearly set to adapt to climate change to prevent a future social, economic (potentially greater than the recession), environmental and political catastrophe. To briefly conclude. The Durban summit could be looked back on as a success if the negotiations on a treaty outlined in the talks are implemented. So what could this include? This is the idea proposed by Meyer (2000) that the largest emitters of greenhouse gases contract the level of pollution towards an agreed per capita emissions total. For example, the US CO2 emissions/person are 10 times that of China. As a global community, we need to try and keep the amount emitted per person the same. Therefore, every country has to contract their emissions, some more than others. For the developed world, this means a low-carbon economy is a serious alternative. This agreement should be open and transparent and include the developing world in order to invoke the concept. Carbon markets, initiated in Kyoto, need to become global carbon markets in order to accelerate capital flows from the developed to developing world. I believe the concept of a green economy can act as a framework by developing global institutions that allow the development of such markets, renewable energy technologies and capital flows between the developed and developing world. This would accelerate the capitalist system to accelerate a positive response by encourage investors and other actors in the private sector, and minimise the regulatory risk that has been witnessed for more than a decade as the world just watches conference after conference of inaction. Chris Huhne, the UK climate change secretary, said the deal represented a “significant step forward” (The Guardian, 2011) . Let us hope he is right…. If only Durban had seized the moment with this.